Are you interested in starting an online business? Do you believe that you have an idea that will be great to realize on your own, independently, and simply quit that 9 to 5 job? If your answer is yes, then you need to start with these four steps. 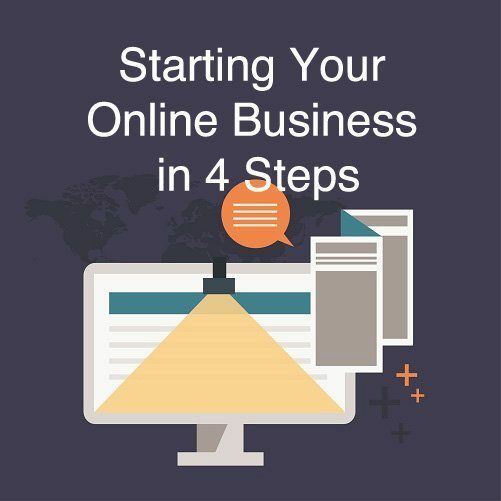 You will learn the essentials of creating and starting an online business. Also, you will be able to determine if this is something you really want to do. After all, as much as this business model looks appealing, there are also some drawbacks to being your own boss. What kind of value would you provide? Competitors are the people who are in the same industry, offering the same (or similar) products or services. While there are some things that you can learn from them (for example, which approach works, and what they would need to improve), at the end of the day, you are targeting the same online users. Try answering some of these questions and put your answers down as a reference. Is there someone else doing the same thing? What are the pros and cons of their approach? Put your observations on paper to use the key findings later on. When you have the foundation, it’s time to start creating a business plan. This plan should be an actionable plan with the activities and estimates that are achievable. Try to predict the time needed for each initial set-up phase and then determine the launch date. Not only will this help you prepare each stage with more success, but you will also be more motivated to complete each step, as you have a plan to guide you through. You’ll avoid procrastinating and you’ll be pushed to focus on actually completing your plan and turning your idea into reality. Determine exactly what you need to do before being able to make your work public. For example, some of the tasks might include photo images, creating a website, integrating an online store, setting up email campaigns or social media profiles, planning activities such as special promos, challenges, competitions, etc. Just list all of those actions at first, while brainstorming. Following the previous steps you’ve just created, start dividing the actions into phases. Try to create a couple of phases within the plan and then group the relevant actions within each of those. While doing this, try to group activities in the logical order. For example, you might want to include photo shooting of the products in the first phase, and then the creation of an online store in the second, because you will then have the images. Otherwise, you’d be going back and forth. You’d create a store, without images, then you’d make images, and then you’d need to go back to editing the product pages once again. 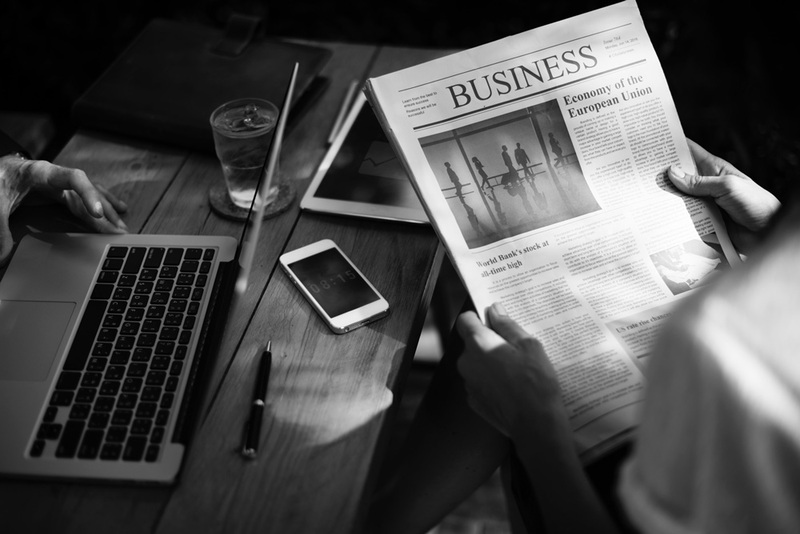 At this point, it’s helpful to have at least some understanding of online marketing, and how this strategy can help you with growing your online business. For additional references and insights about online marketing and how it helps you grow your business, check out our Online Marketing Course. Think about how you want to promote your product and how you want to reach online customers. At first, try to determine the strategies, and then you will need to plan each of those, with activities you will work on, the budget for each and results you want to achieve. Basically, each of these strategies should have its mini business plan. So, for example, you know you will use Google search engine ads. Then you will need to create a plan on how you will implement this strategy to make sure it contributes to your overall business success. At this point, your work will mainly consist of thinking, planning and writing the ideas, without many actions. But in the long run, this is the approach that is most helpful. It helps you stay organized and focused, you’ll be more efficient and productive. Also, you will have documented strategy with the possibility of easily measuring the results and evaluating the performance. All of these are the elements that differentiate a successful business. The first two parts are focused on the preparation of your idea and doing all the necessary things before the big launch. The complexity of these two steps can differ, depending on how detailed you want to be with planning. In general, it’s recommended to devote enough time to each step until you cover all the necessary aspects. At this point, you will start putting your plan into action. When you start this, you will realize why and to which extent planning is important. It’s easier to implement different strategies and actions when you already have a plan laid out than if you would try to do the same without a plan. The process of realization includes conducting all the activities related to the business launch and days after. Some of these activities can include the launch of the website, the start of social media strategy, or any other strategy you want to implement, such as email marketing, paid advertising, etc. When it comes to the process of implementation, the best approach is to follow your roadmap, a plan that you already have. Occasionally, it might become difficult to implement everything based on the plan or to strictly follow the time frame that you have set. This happens because for multiple reasons. Firstly, you might have made mistakes regarding estimates and predictions when planning. Secondly, up until this point, most things depend on you directly. Once your business is up and running, a lot of other factors affect how things develop. The situation on the market, general interest, and sometimes the time of the year can all have an influence on how the strategy you have planned develops. If you haven’t thought about it yet, this might be the point where you will evaluate the need to extend your team. While working on your own saves a lot of money, it does take up much of your time. And in reality, that asset is limited. You can’t work a limitless number of hours per day. This might become a restriction for your business growth. While starting slow might be an easier and no-commitment option, it’s important to notice when you can really benefit from someone else joining you in this effort. Because, if you want to grow your business, you are bound to need help at one point. In the end, even if you had the time, you couldn’t possibly know everything. While you might be good with content, or email marketing, technical stuff of site management might be areas you could improve by consulting an expert. Think about expanding your team as an investment for the future and try to determine how this can help you boost your business. The final step is monitoring. You have everything up and running, but have in mind that your own online business requires attention, almost daily. Here are the core aspects when it comes monitoring your business performance. As an online business, you’ll probably be conducting multiple strategies simultaneously. While you’ll use your blog and content marketing to increase your organic positioning, you might be using other strategies at the same time, such as paid search engine traffic, social media marketing, affiliate marketing, etc. Since each of these activities requires a particular plan of its own, a set of actions that will enable its realization, it’s important to keep track of every individual strategy. What this means is that you need to track and keep up with the results each strategy brings. For example, you will need to analyze the statistics and put down the relevant numbers regarding content marketing. At the same time, if you have an affiliate program up and running, you also need details about the influence of this strategy. You will use affiliate links to track the performance of the affiliate marketing efforts. The influence of these statistics and metrics is relevant to evaluate the performance of each strategy individually. But, you should have in mind that each of these strategies has an indirect influence on other strategies, and on your business. What this means is that you also need to analyze the indirect influence and take into account as a factor in the process of evaluation. How can you do this? Determine how these strategies are connected and the exact elements that make them dependable. For example, your content marketing strategy might depend on the email marketing which affects the reach of the content you create. The same could be applied when it comes to social media marketing. So, even if the strategy on its own doesn’t provide good results, it might be a necessary factor in the overall online marketing. This means that you shouldn’t make any decision until you have the complete picture and until you can exactly pinpoint activities that bring you good results, even indirectly. Finally, there comes the part of analyzing the overall performance and comparing it to the goals. This is the crucial part which is something you should do occasionally. Don’t wait for too long to reflect on your plans and your achievements. Have in mind that planning pretty much relies on estimates. You predict what you want to achieve and what the results would be. However, it is essential that you determine how much of the planned you have managed to achieve. Were the results achievable? Were you able to achieve more than predicted? Which strategies proved to be most useful in the process? All of this represents the foundation for further planning. Once you have the actual results on what you can achieve and how you will be able to make more accurate plans in the future. Additionally, you will also be able to determine what can be improved to grow your business at a faster pace in the upcoming months. In the end, you need to have in mind that starting your online business is a considerable investment. Regardless if you think about the assets required to kickstart the business or sleepless nights you would spend setting up, analyzing, and improving, having your own business requires devotion. Use these four steps to make sure you stay organized and focus on what matters – getting off on a good start and growing your business at its own pace. As long as you think like this, you are on a good path to launch and develop your business in the right direction.